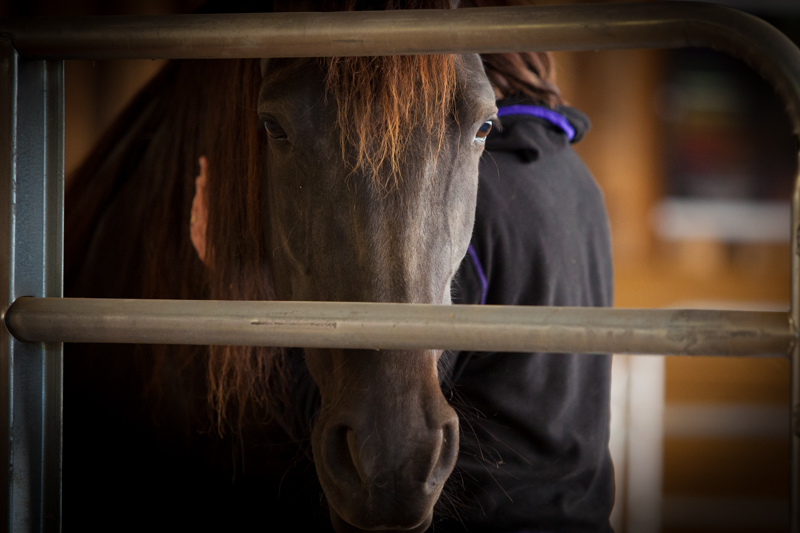 In our Equine Gestalt Coaching Method there are two Coaches for the client. One a human Gestaltist focused on discovery with the client. Working in a co-active and experiential process, client and coach work to uncover the root of unfinished areas of life that need closure. The start of the work enlists the second Coach, the horse, to witness the conversation and open into the emotions as the client becomes truly congruent. Thinking, speaking and emoting from a genuine and consistent space. As horses are highly intuitive and rely on their ability to “ read” what is happening around them, they are tuned into the truth. 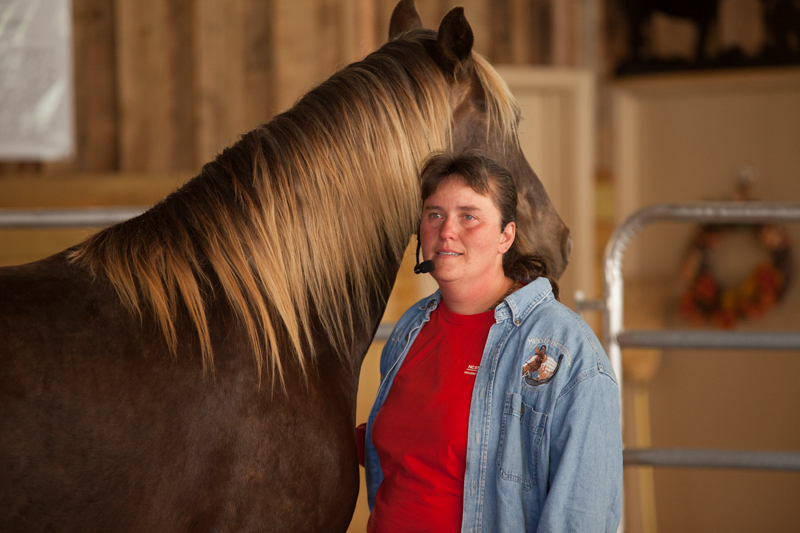 As the method moves forward in a session the horse begins to express himself through a variety of body language. 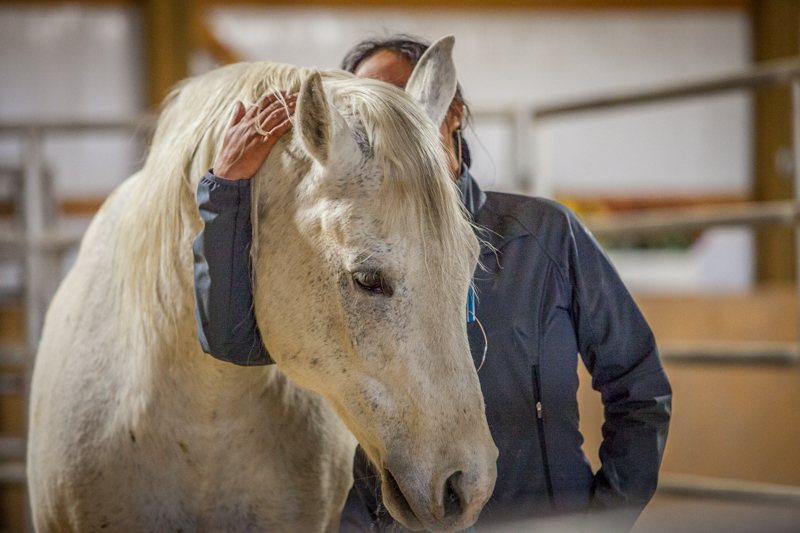 This may mean as the session progresses the client may be with the horse on free liberty in a round pen, arena or open pasture as the horse gives feedback about personal truth, or actively aligns their body to elevate the vibrational field or even act out a pantomime for feedback from their perspective. 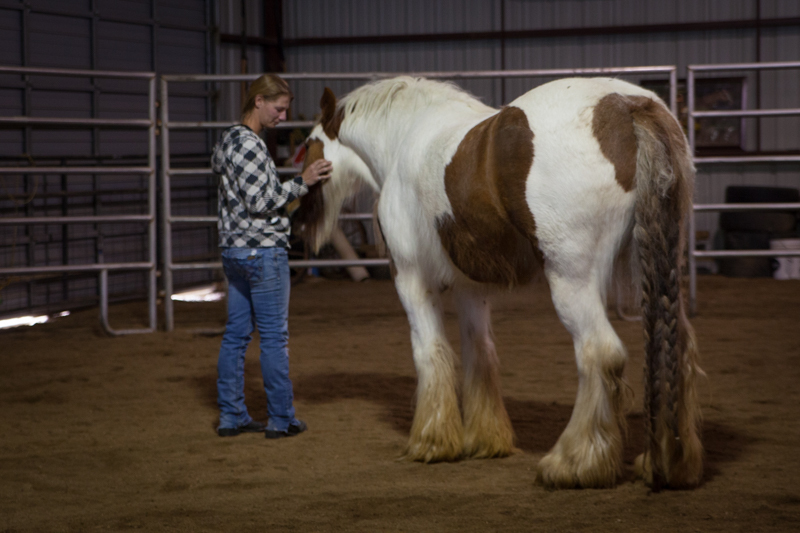 Utilizing a variety of means of expression both haltered and at liberty, the Horse is an effective and clear Coach and learn to illustrate exhibit and perform healing for the client without interpretation or “anthropomorphizing” from the human Coach. Clients are moved and achieve clarity and closure from working with the two coaches. Certainly one never forgets what a 1200 LB Coach shows you.